"Implant based reconstruction is one of the well-established methods to restore shape and volume after total mastectomy. Exposure of an implant is a serious complication that could lead to failure of the whole process of breast reconstruction. There are no uniform guidelines on the management of such complication. Several methods have been described including antibiotic irrigation, implant replacement and flap coverage. 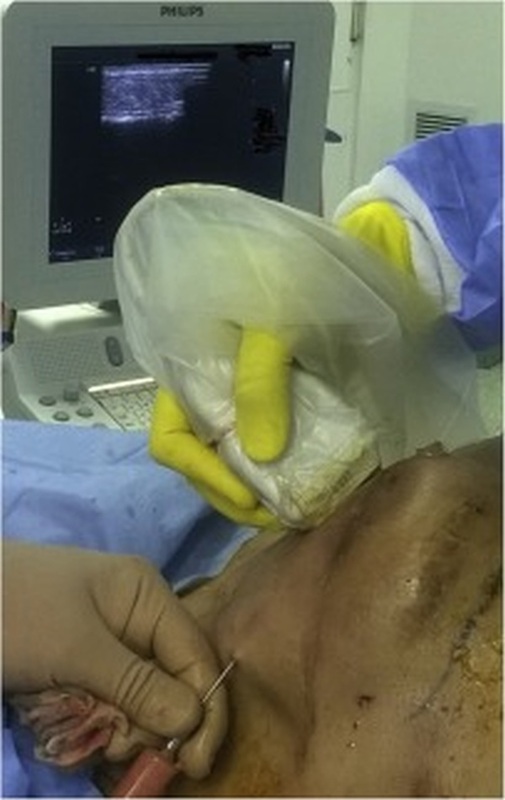 This case report by International Journal of Surgery Case Reports describes the use of ultrasound guided lipofilling for implant salvage in case of an exposed non-infected implant. A 29-year-old patient with T3N1 post neoadjuvant chemotherapy breast cancer underwent skin sparing mastectomy and immediate subpectoral implant based reconstruction. She presented a week post hospital discharge with an exposed non infected silicone implant. Antibiotic irrigation and secondary sutures were done with satisfactory wound healing within eight days. However, ultrasound examination revealed a sizeable area where the implant was in direct contact with the skin. Utrasound guided lipofilling was done in the same setting as contralateral mastopexy to achieve symmetry. The patient had a smooth postoperative course. She was referred to radiation therapy department where she received adjuvant chest wall irradiation according to her pathological result. Follow up after radiation therapy by clinical and ultrasound examination revealed no implant related complications. Lipofilling is a very useful tool that could help in cases of an uninfected exposed implant. It could also be used primarily as an adjunct procedure to implant based reconstruction to optimize the outcome.